Hi! 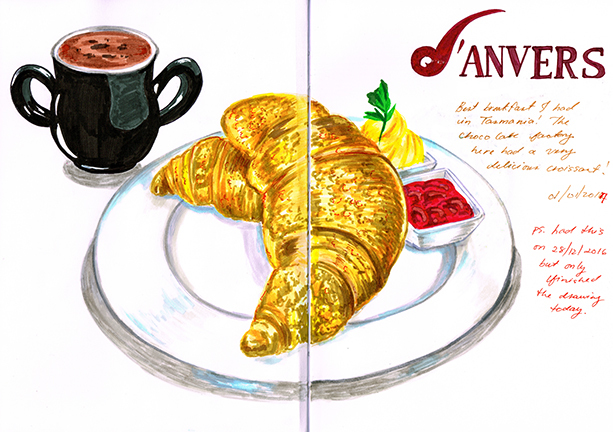 One of the few food drawings I managed to do while in Tasmania. I really liked this place and would love to come back the next time I visit Tasmania. Delicious croissant and cinnamon hot chocolate. This was also my very first drawing for 2017. A bit of a chore day today and just about to start doing some work. We're going to a party tonight so I guess I'll stop when it's time to get ready. Not much else to report for now!